Bret Harte was at the forefront of western American literature, paving the way for other writers, including Mark Twain. 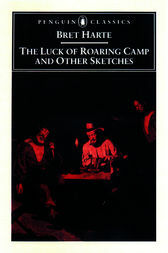 For the first time in one volume, The Luck of Roaring Camp and Other Writings brings together not only Harte's best-known pieces including "The Luck of Roaring Camp" and "The Outcasts of Poker Flat," but also the original transcription of the famous 1882 essay "The Argonauts of '49" as well as a selection of his poetry, lesser-known essays, and three of his Condensed Novels -parodies of James Fenimore Cooper, Charles Dickens, and Sir Arthur Conan Doyle. Gary Scharnhorst is editor of American Literary Realism and editor in alternating years of the research annual American Literary Scholarship.